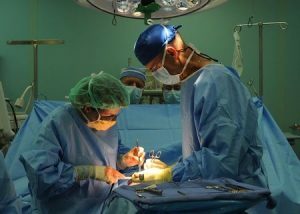 What is Thoracic Surgery Recovery Like? What is thoracic surgery? Any surgery that is performed with an incision that enters through the chest is considered thoracic surgery, including open heart surgery. Recovering from thoracic surgery is a long process. The recovery process will depend upon the exact type of surgery you have, the placement and size of the incision, the condition of the individual patient, and the care taken post-surgery. Often referred to as open-heart surgery, thoracic surgery may address a problem with the heart, esophagus, lungs, trachea, aorta, or diaphragm. Open heart surgery poses a significant challenge when it comes to healing. It’s going to take time to get back to feeling your best. It’s common to feel very tired and run down for six to eight weeks following the surgery. Your chest may feel swollen and sore for up to six weeks following the surgery. Most patients who have traditional open heart surgery go home with staples or stitches holding the incision closed while it heals. Most also require drainage tubes to remove excess fluid and air that can build up during surgery. Those tubes will most likely be removed before leaving the hospital. If the tubes remain in place, you’ll be given special instructions for post-surgery care. The surgery itself does not have to be an invasive trauma. Minimally invasive, bloodless heart surgery relies upon a much smaller incision and provides a much shorter healing time than traditional open heart surgery. While recovery following any heart surgery is a long and arduous process, it’s important to choose the surgical options that provides the most benefit with the least down time and trauma to the body. When you speak with your doctor, be sure you explore all of the options to ensure that you understand the treatment plan and the post-operative care plan you’ll need to follow.